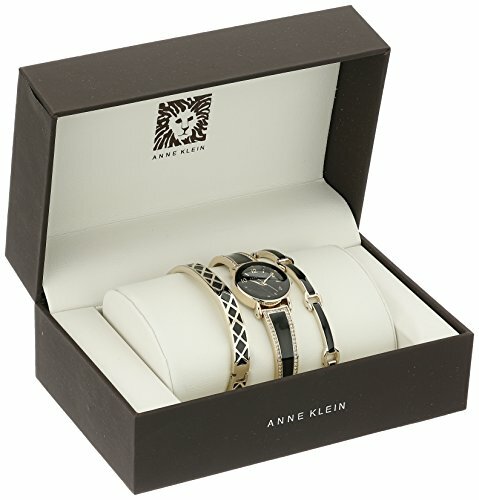 Watch set includes one case and two matching bangle bracelets. Stainless steel caseback. 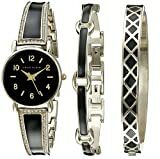 Gold-tone mixed metal bracelet features black enamel insets, Swarkovski® crystal accents, and a jewelry clasp closure. Round face. Three-hand analog display with quartz movement. 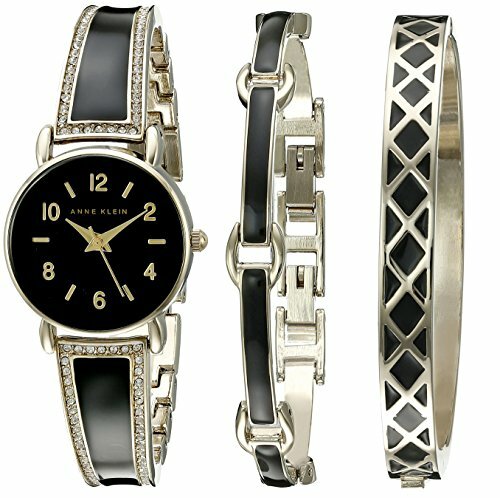 Black dial features gold-tone hour markers and hands and Anne Klein detailing. Boxed set comes with display case. Splash resistant. Imported.